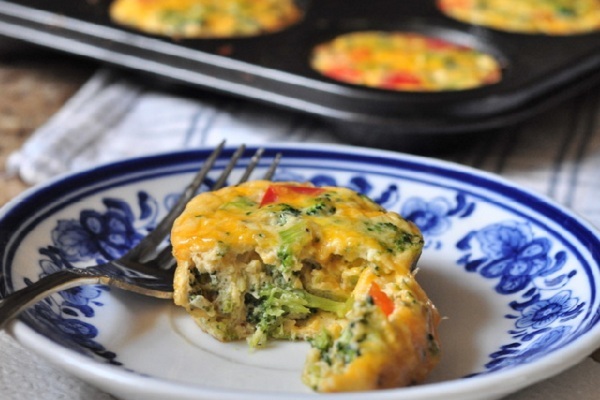 An all-in-one breakfast packed with protein, these crustless quiches found over at The Domestic Mama blog couldn’t be friendlier for those rushed and crazy mornings before school. After you make your first batch of eggy goodness (super-easy prep in a muffin tin), you can save any leftovers for reheating throughout the week. Pack them full of veggies like broccoli and peppers to add color and vitamins! With all of the marvelous in-season produce around this summer, this idea for a peach breakfast bake concocted by the brilliant Chocolate Covered Katie looks so good it could be a dessert! 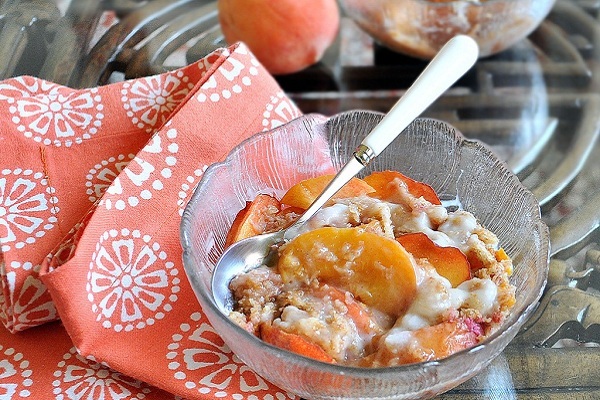 Part peach cobbler, part oatmeal, this recipe will leave the whole family with smiles on their faces. Check out the full blog post for tips on how to make the recipe gluten-free or sugar-free. Katie totally had us fooled when we saw all the nutritious goodies that were packed into the seemingly dessert-ish dish. Does a hard day of tests and classes lie ahead for the kiddos? 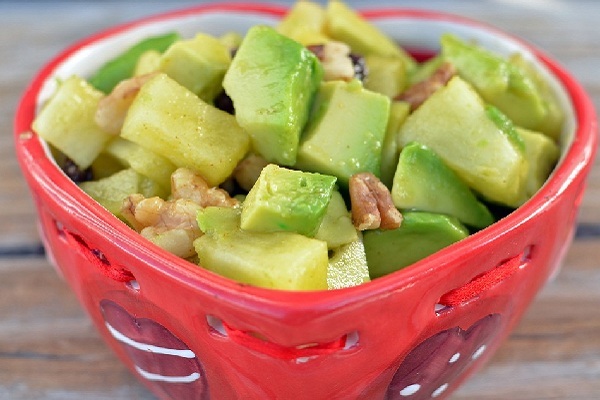 This recipe for an avocado breakfast salad featured on the Super Healthy Kids blog could be just the fuel they need to stay focused throughout the day. High amounts of Vitamins C and K make avocados the perfect brain food and boost immunity as well. Add some whole wheat toast and hard-boiled eggs — and BINGO! — you have a perfectly balanced breakfast. Check out the full blog for dozens of other back-to-school breakfast ideas. Tired of nagging the kids to fit in a hearty breakfast before running off to school? 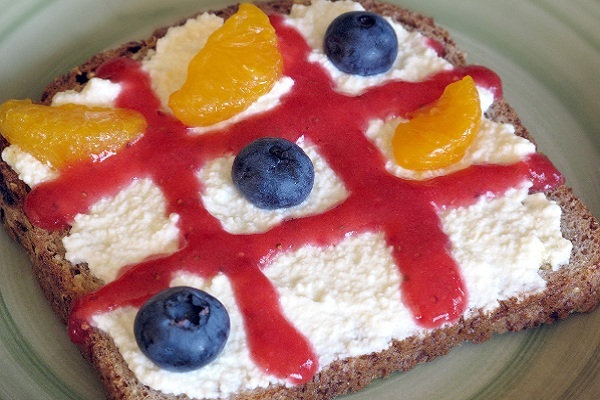 Make breakfast fun with this creative toast idea from the Simply Healthy Family blog. Made using whole grain toast, ricotta, and fresh fruit, the kids can play a few rounds of Tic Tac Toe before heading out the door. The topping ideas are endless. Use whatever small fruits you have on hand, and let the games begin! Sandwiches aren’t just for lunch anymore! Think out of the box and create your own fruit and nut sammies like these featured over at the Keep Your Diet Real blog. 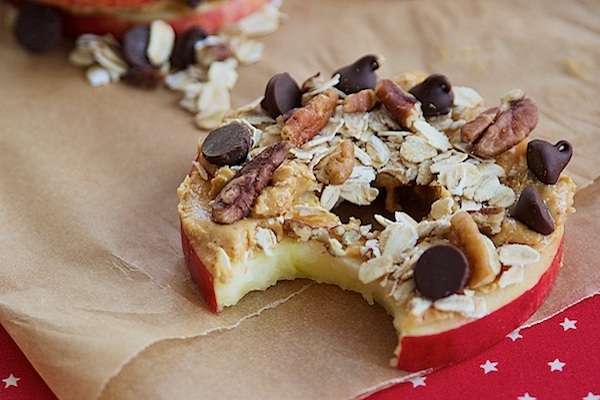 Using cored apple slices as “bread,” you can fill the middle with protein-packed ingredients like peanut butter, oats, or nuts, and add your fave fruits too for a little sweetness. Yummo! We think disguising healthy foods in muffin wrappers is just the way to get the kids excited about breakfast. 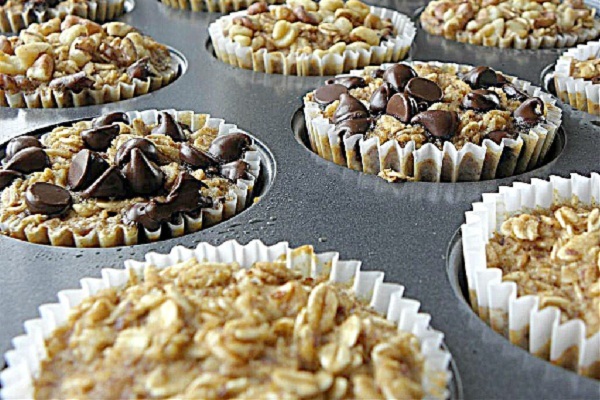 Case in point: These baked oatmeal snacks found over at the Sugar Free Mom blog. A great make-ahead idea for a whole week’s worth of breakfasts, the recipe is gluten-free and the kids can personalize the muffins with their own toppings. Check out the full post for the recipe and helpful tips, plus a great list of other oatmeal-inspired breakfast ideas. Of course, we had to include a version of French toast on the list, and this recipe featured on the Yummy Mummy Kitchen blog was too good to pass up. 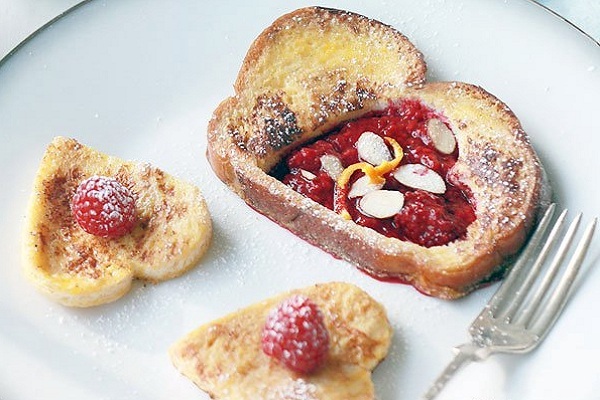 For those mornings when you can take it a little slower, give the day a (naturally) sweet start with classic French toast finished with a stewed-berry topping. After the toast has cooked, blogger Mama Marina uses a heart-shaped cookie cutter to cut out a space for the filling. As the French might say: Toute de sweet! For the picky ones who fly into a tantrum at the thought of eating a big breakfast, Mama Amy from the Super Healthy Kids blog came up with a take on breakfast burritos this is sure to keep the kids from skipping breakfast. Bite-sized, yet packed with healthy veggie fillings, these burritos will be gobbled up before you know it. We think the more playful breakfast is the better chance we have of filling up kids’ bellies! The same might be true for adults. 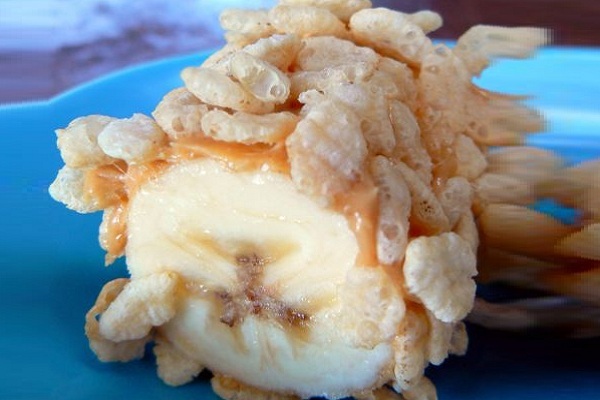 Cereal, bananas, peanut butter — all are tried and true breakfast options. 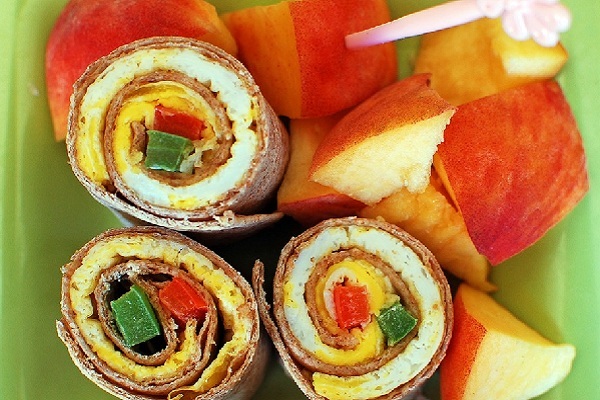 Roll them all together and you get a perfect on-the-go breakfast. We thank Mama Rachelle for featuring this idea on her blog Mommy? I’m Hungry! So simple! So quick! It’s sure to be a go-to option for any time of the day.! Yes, you heard that right. 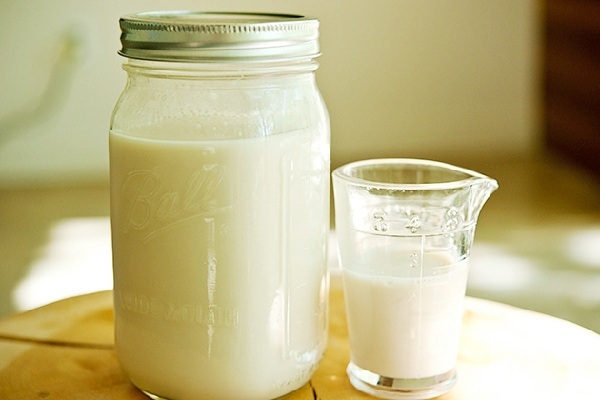 We’ve been seeing the homemade almond milk concept popping up in the blogosphere lately, and this tutorial featured on the Tasty Kitchen blog breaks the process down into four easy-to-manage steps: Soaking the almonds; blending the almonds; combining other ingredients; and straining the milk into a mason jar. Hmmm. Sounds like a foolproof way to keep the almond milk stocked all throughout the busy school year. Sharlyn Gehrs is a Seattle-based freelance writer and editor.